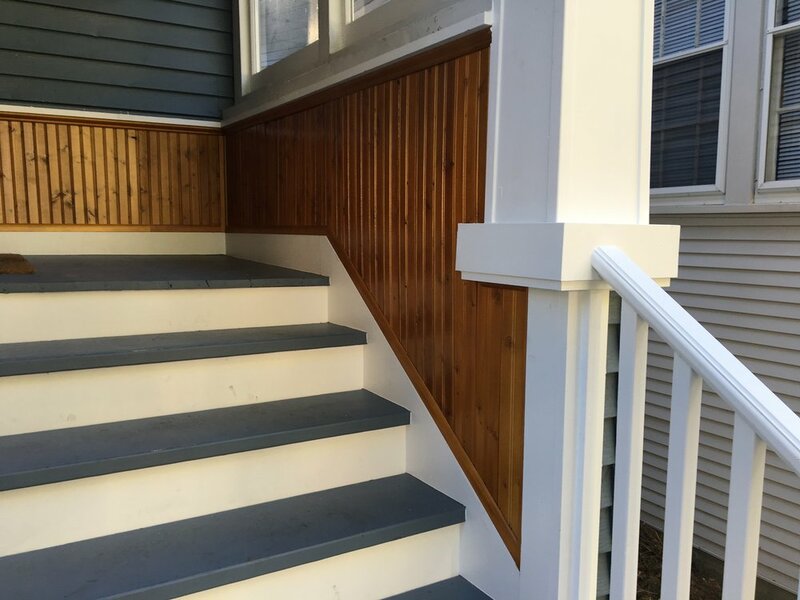 Trim carpentry is fun. Sometimes. 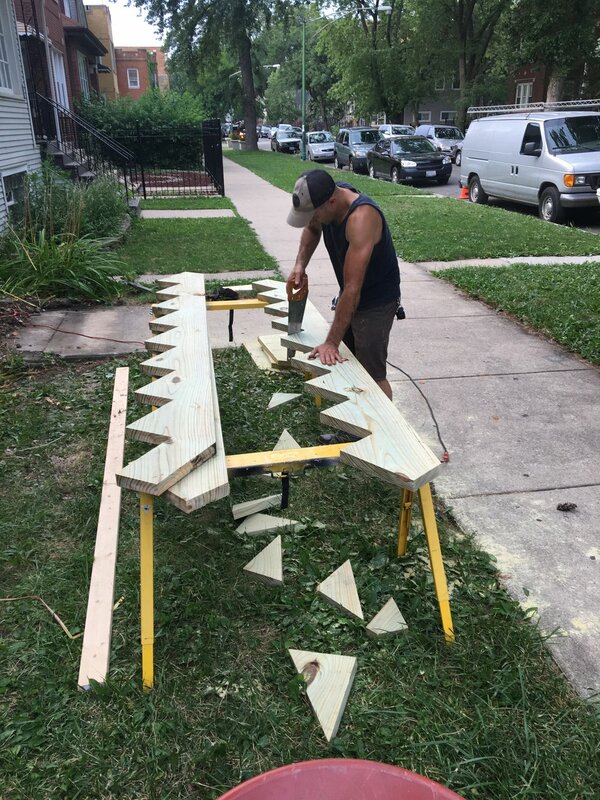 As a furniture maker, I enjoy being able to work on projects in the comfort of my own shop, with a nice bench, and my whole array of tools and work holding apparatuses that I have gathered together over the years. 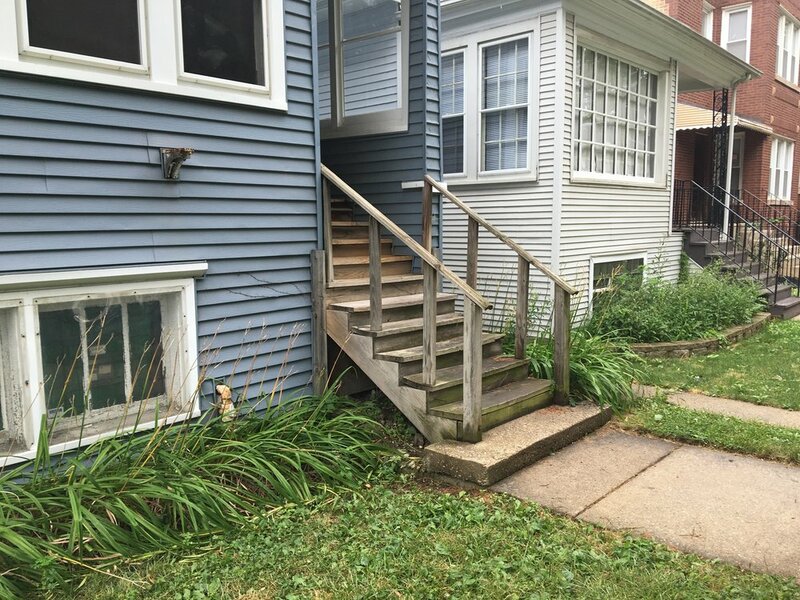 As a homeowner, fixing up the place is an ongoing series of tasks that is never done. 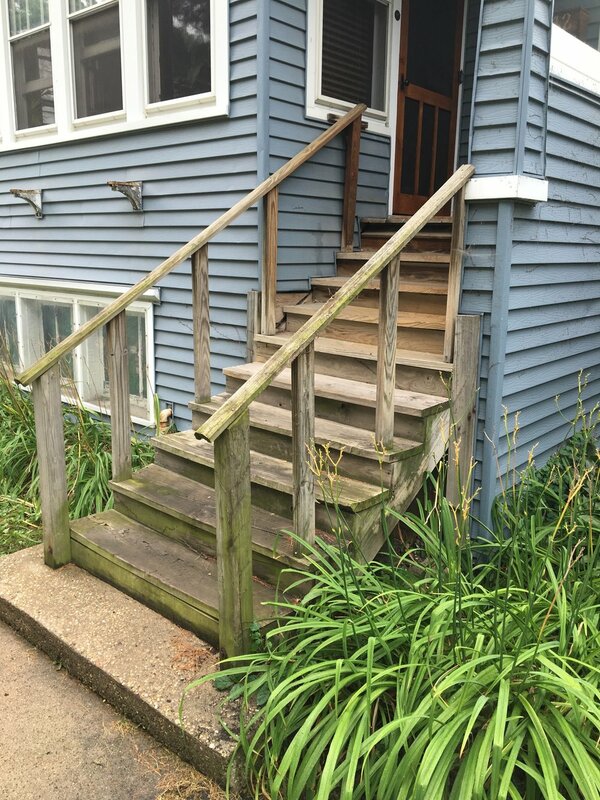 And fixing up things that are in, on, or attached to the house is often in uncomfortable places, with a limited set of tools (always not enough, requiring multiple trips to my wood shop or the handyman bench on the basement), and terrible or non-existent work holding. 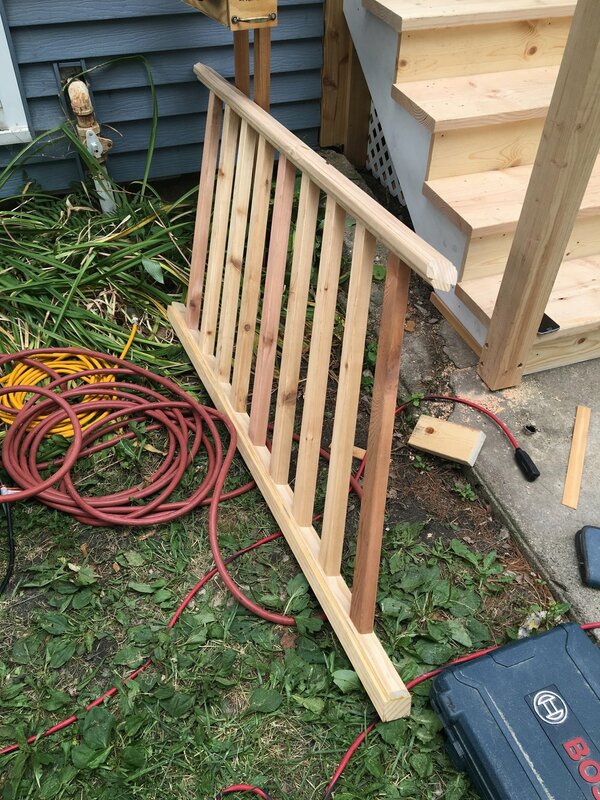 Once the tools and work holding situation problem is figured out for the task at hand, I run into another problem: I want to treat things like a woodworker, not a carpenter (sorry carpenters). I get fussy about little details that won't show, or won't matter. 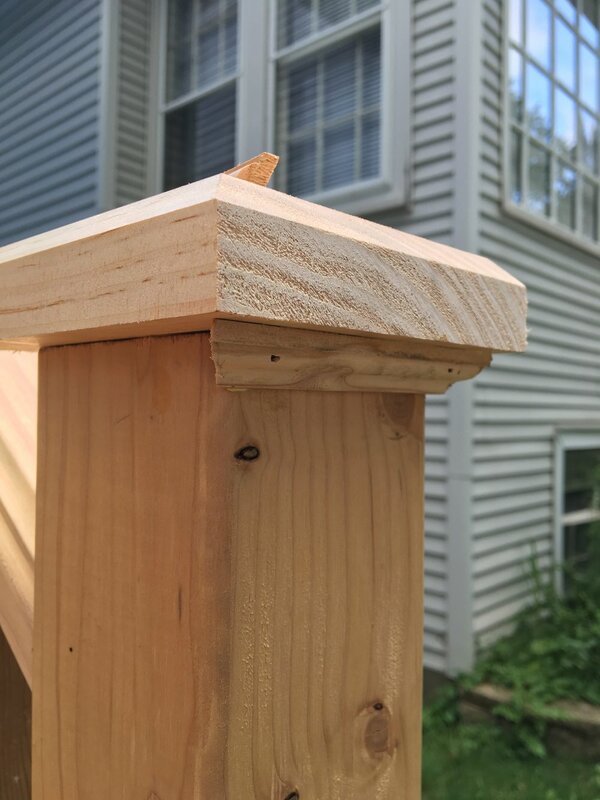 I'm not saying that carpenters are more sloppy than furniture makers; it's just that when you change the scale of your work, the requirements change. For you woodworkers, think about how different timber framing is from making little gift boxes. Watching a skilled carpenter do their thing is a great education for a furniture maker, and vice versa. Both trades do things differently, and appropriate to the task at hand. I know I would never be efficient enough as a carpenter. 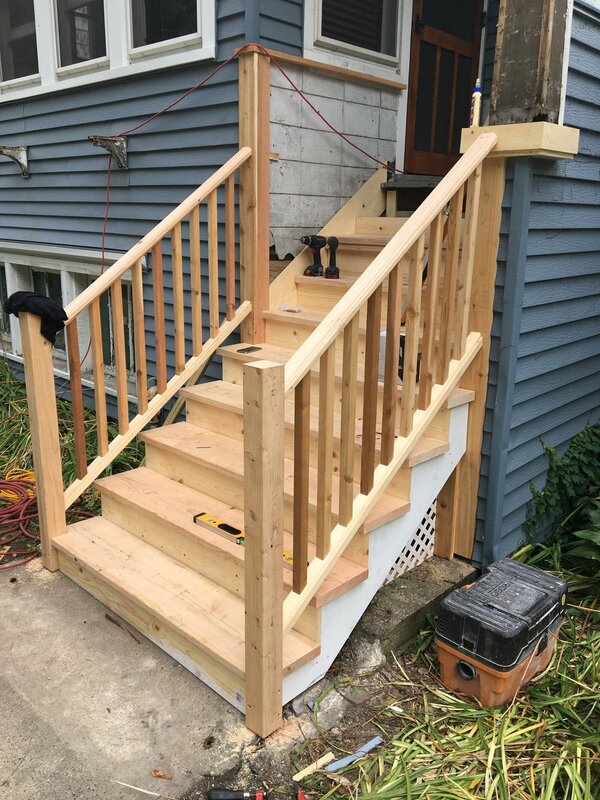 But recently, I had an opportunity to try my hand on applying some of my woodworking skills on a long overdue house repair project. 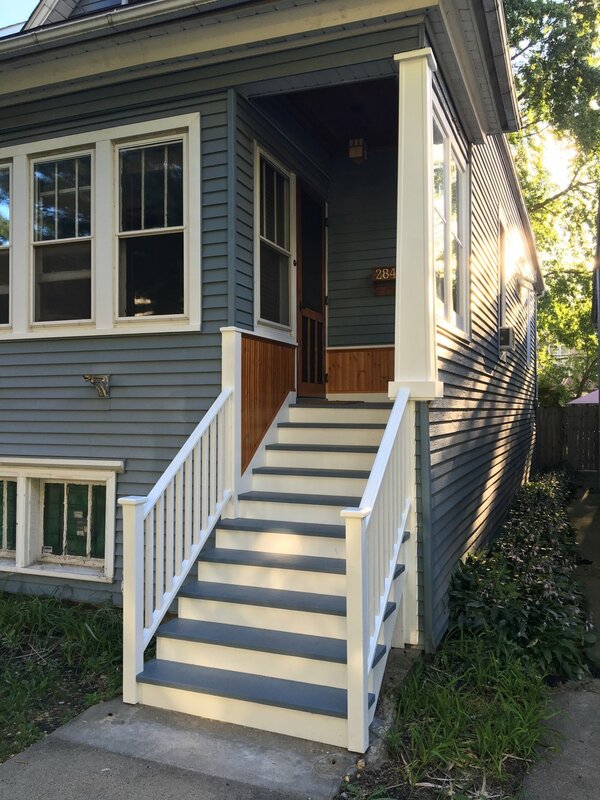 Our house has suffered from a terrible set of front porch stairs since the day we bought it, and it was long overdue to be repaired. 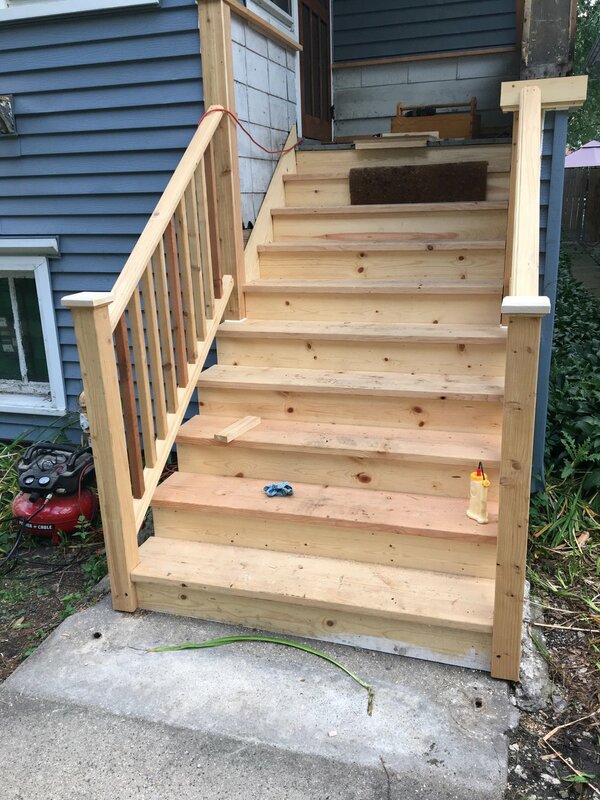 I knew enough to hire a carpenter (and good friend) to do the pro stuff. I did the demo, and then proceeded to assist (or get in the way?) during the (re)build. 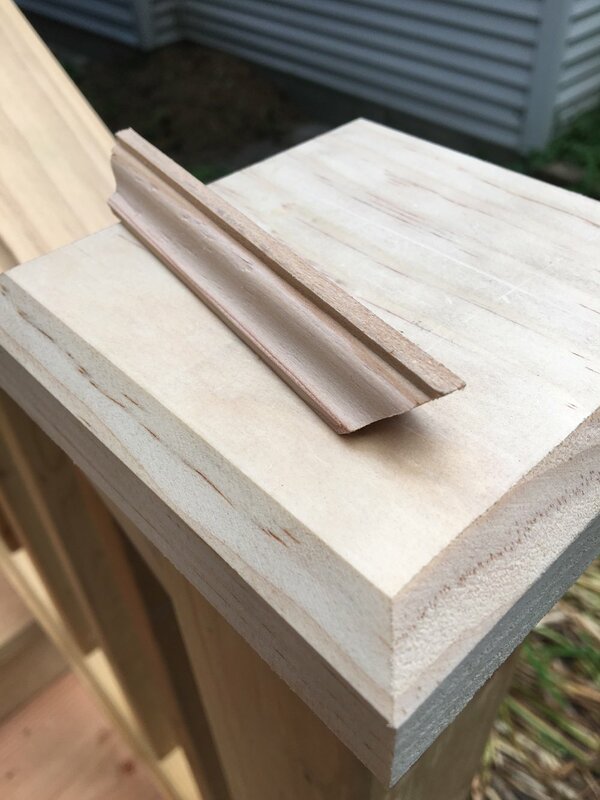 Not finding any pre-made hand rails that would work for the design, I had a chance to mill my own in the shop, using some hollow & round planes for the profile. I also made the post caps. 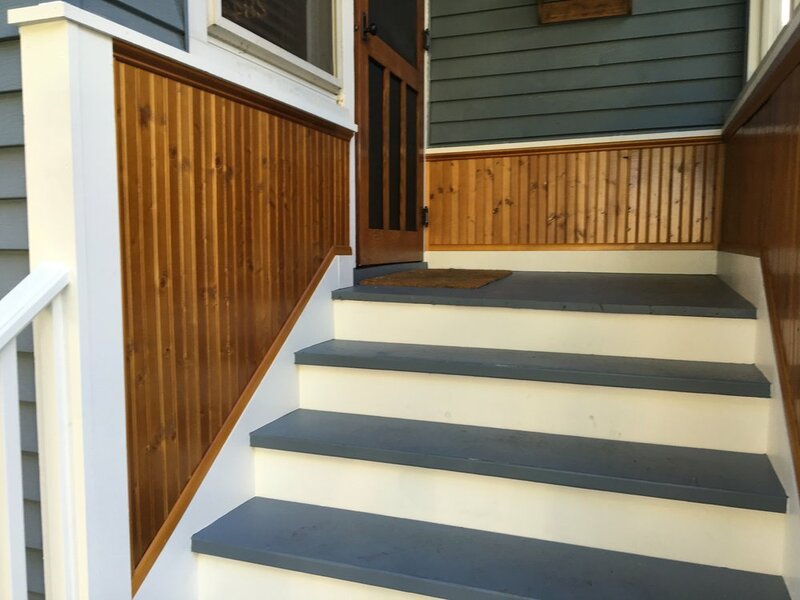 We were then forced to consider a design change, as we had to remove some of the siding that was applied to the (incorrect) profile of the old stairs, creating an opportunity to add some finished wainscoting around the stairs. I had fun finishing and fitting the finished parts, and after the painter (another pro and friend) was finished, the result was great. 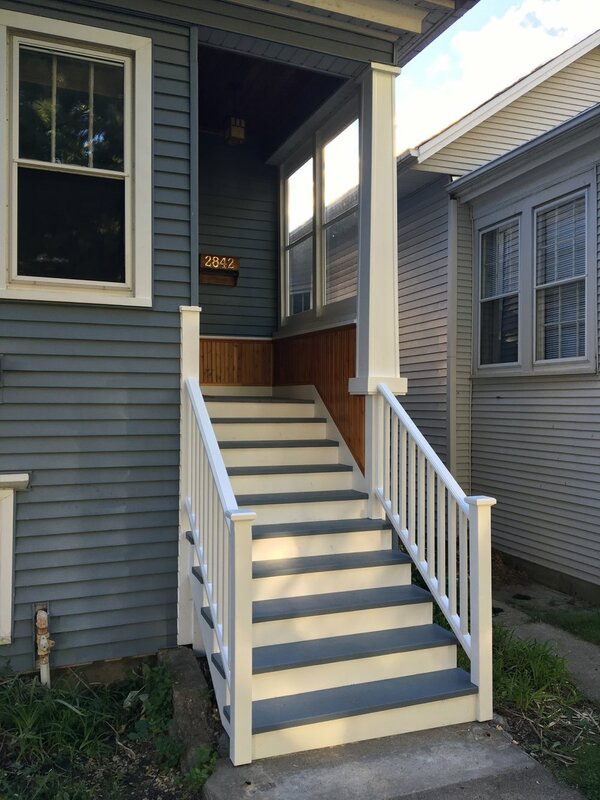 It also makes the front door, screen door, windows and ceiling work I did last year look so much better. 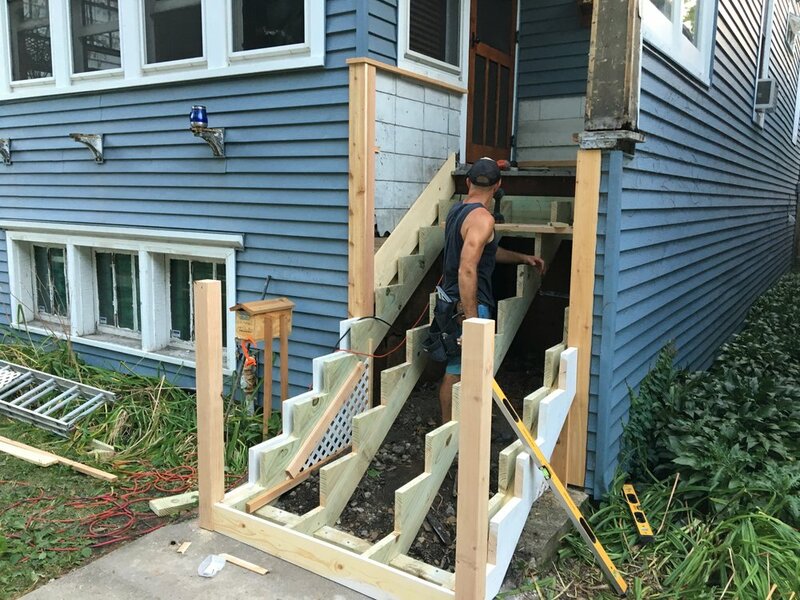 Thank you Dustin Christian of Focal Point Carpentry (Milwaukee, WI) and Jacob Levee of Jacob's Ladder for their great work. 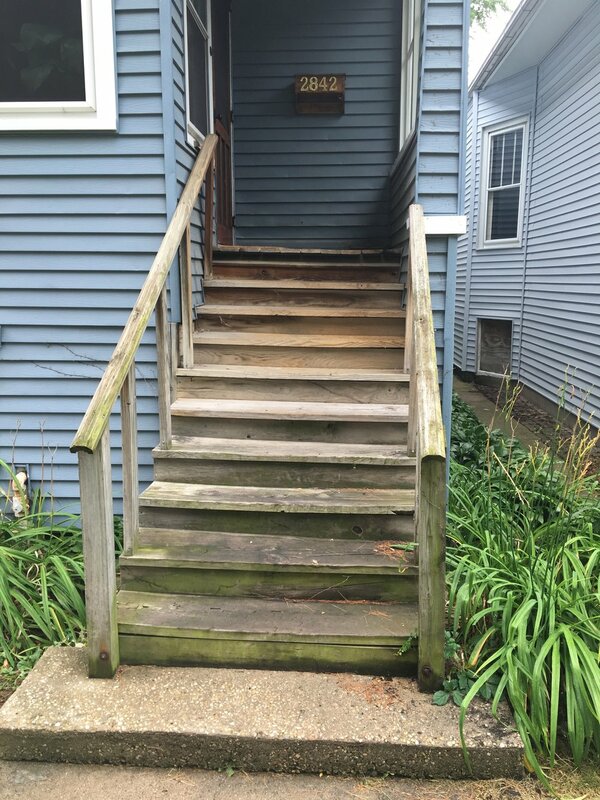 And thanks to my neighbors, for putting up with 18 years of looking at my garbage steps.